I'm pretty bad at wearing brooches. I have quite a few of them, but for some reason I always forget to pin them on me. If I owned this one by Fabergé I probably wouldn't forget about it though... It was made by workmaster Alfred Thielemann, around 1910. The field of the oval brooch is covered in translucent rose over a guilloché ground The border is made of gold in a ribbon-tied reed pattern. 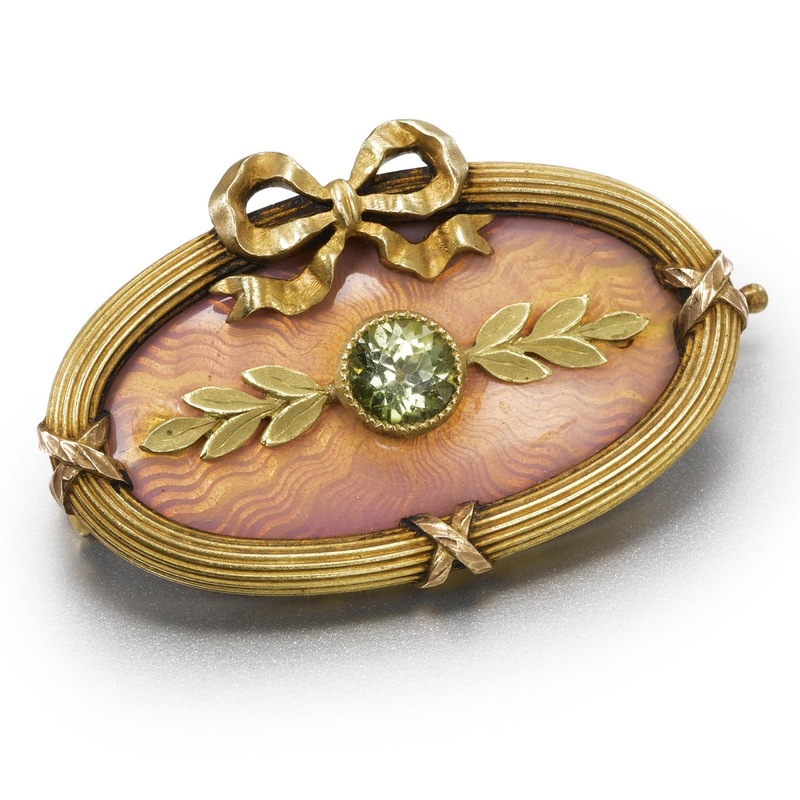 in the center sits a faceted citrine, from which stretches gold leaf decorations. The length of the brooch is 3.2 cm, and it was sold at Sotheby's for 15,000 USD.